I don’t know about where you are but it is super hot, humid and rainy in Michigan. Hot and humid enough that you don’t want to use the oven. Rainy enough that you can’t grill and your herb garden is exploding…in fact, I think my oregano plant may have eaten one of the neighborhood children. So that’s when I turn to one of the greatest inventions of mankind: pizza delivery. Just kidding, I really mean the slowcooker. And I know that we often think of the slowcooker as a winter-meal-generator and mostly useful for heavy comfort food, but really, you get out of it what you put into it. Literally. 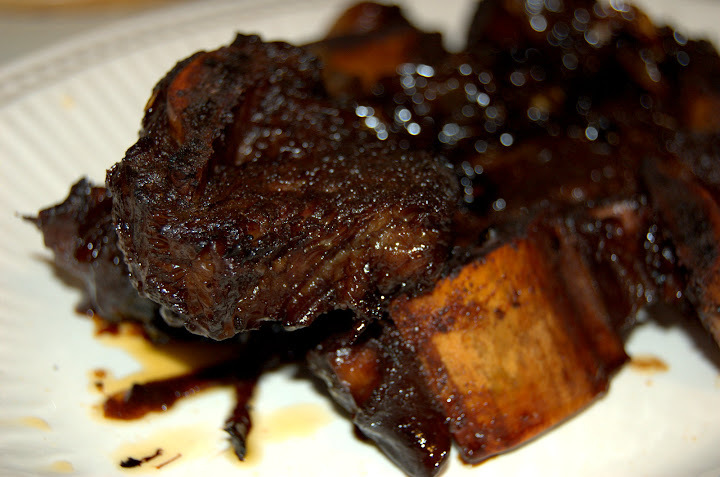 What goes into the slowcooker comes out of the slowcooker, only better and more moist. (I wrote “moister” there the first time, I did.) And it can be light and summery, and use up all those fresh herbs you’ve got in your yard….or the ones you found in the produce section of the grocery store. This dish packs a lot of bright, delicious flavor for what ends up being very little effort on your part. Chicken, pancetta, rosemary (though you could substitute thyme or fresh oregano). It takes about 10 minutes to put together—all you have to do is slice a few things and layer them in your slow cooker. Less time to cook, more time to fight off the mosquitos. Place the onions in the bottom of the slow cooker. Rub the chicken with the olive oil, salt and pepper. Place on top of the onions. Add in the mushrooms, garlic, pancetta, rosemary and lemon juice. Cook for 8 hours on low heat. 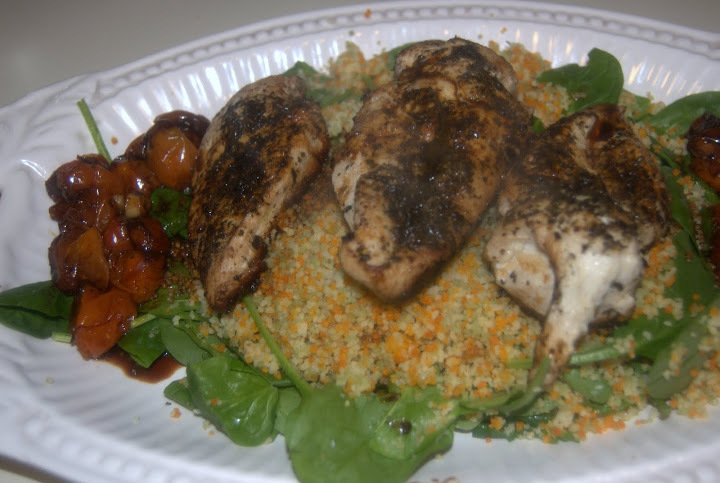 This entry was posted in Recipes and tagged chicken, healthy, herbs, mushroom, slowcooker on July 11, 2013 by Lauren. Introducing Guests Posts from Chad at AnthroPhysique! I am super excited about this post! Today I get to introduce you to Chad Williams, who is an awesome, amazing and hilarious person. Starting today, he’s going to start sharing a little bit of that awesomeness with all of us. Thank you! I’m am very excited to be a part of this blog! Food and cooking are obviously a huge part of my life and my clients lives, and I believe this website is a great resource for new ideas and inspiration. I hope I can help by giving tips, advice, and nutritional information to the readers. This entry was posted in Got It, Move It and tagged evernote, healthy on December 3, 2012 by Lauren. There’s a great joke in an even greater movie, a classic work by an utterly influential artiste. Anyway, in the joke, this guy is talking to a girl he likes at a party and he lists off all these fantastic foreign foods that are sitting on the buffet, including dates. And he offers her a plate and says, “Would you like a date?” “Sure,” she replies, reaching for it. He pulls the plate away. “How about next Thursday” Hahahahahah. That, my dear friends, is the genius work of Mel Brooks in his cinematic masterpiece Robin Hood:Men in Tights. 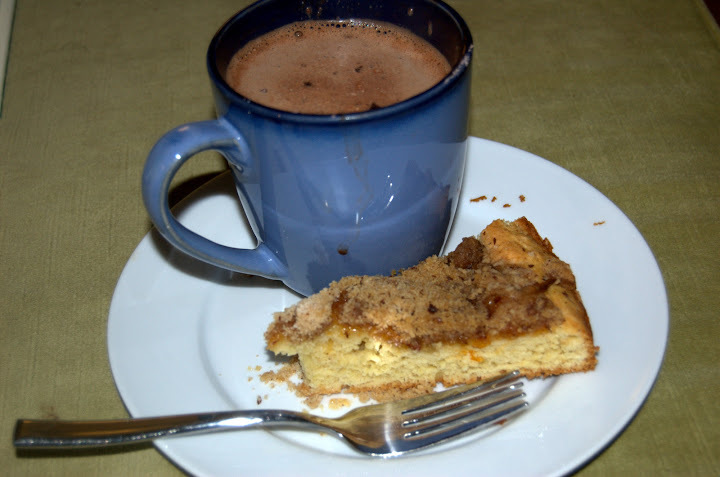 This entry was posted in Recipes and tagged dates, fruit, healthy, snack on April 5, 2011 by Lauren. This may come as a shock to some of you, but sometimes I really just don’t want to cook. Some nights it’s like, “You know, I just want someone to bring me delicious, reasonably healthy food and serve it to me.” That never really happens though. Generally when those nights come around, we end up ordering pizza, which ends up being reasonably tasty but not at all healthy, often takes longer than I want it to and then Josh and I have this discussion about what’s better, Jet’s or Cottage Inn (Cottage Inn) and don’t even get me started on the sadness that befalls us when we realize we’ve run out of our beloved chili pepper flakes to sprinkle over said pizza. I mean, there’s teeth gnashing and wailing and crying…it’s terrible. 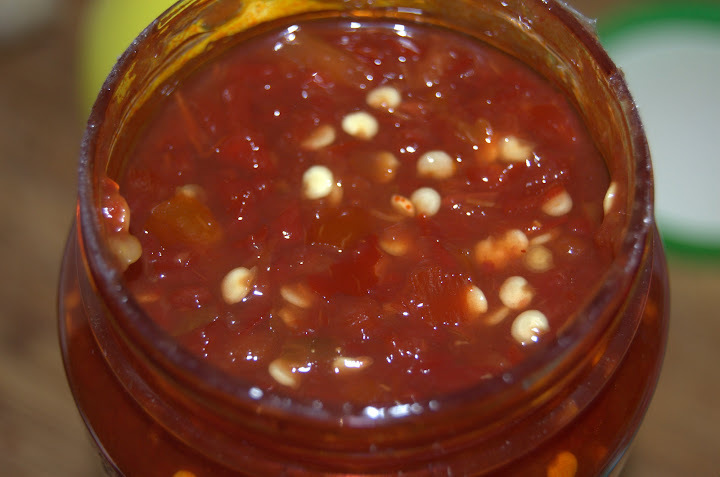 This entry was posted in General Musings and tagged healthy, legumes, vegetables on November 24, 2010 by Lauren. That headline’s a reference to Spaceballs, by the way, if you didn’t recognize it. And if you didn’t recognize it, shame on you. Your penance shall be sitting down immediately and watching this national treasure of a film—while you’re waiting for this jam to cook down, that is. 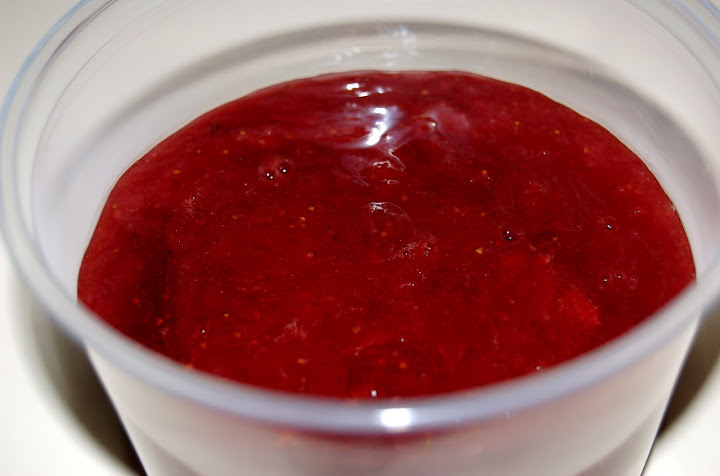 This entry was posted in Recipes and tagged add-ins, breakfast, fruit, healthy, jam on June 18, 2010 by Lauren. Oh yeah, you read that right. Our farm share started up again–finallly! One of the best days of my year is the day that I can start picking up our produce box from Needle Lane Farms. This year has the added bonus of us being able to pick up our box at the Depot Town Farmer’s Market in Ypsi on Saturdays, which I love, being that I love a 1 minute drive or 10 minute walk from Depot Town. Love. It. Also, I appreciate local organizations giving local love to Ypsi. This entry was posted in General Musings and tagged farm share, healthy, local, vegetables on June 14, 2010 by Lauren. It’s officially summer here. It’s sunny, it’s 80 degrees at 11am in the morning, my farm share is starting next week (!) and my husband can barely stand to go outside. Yep, officially summer. 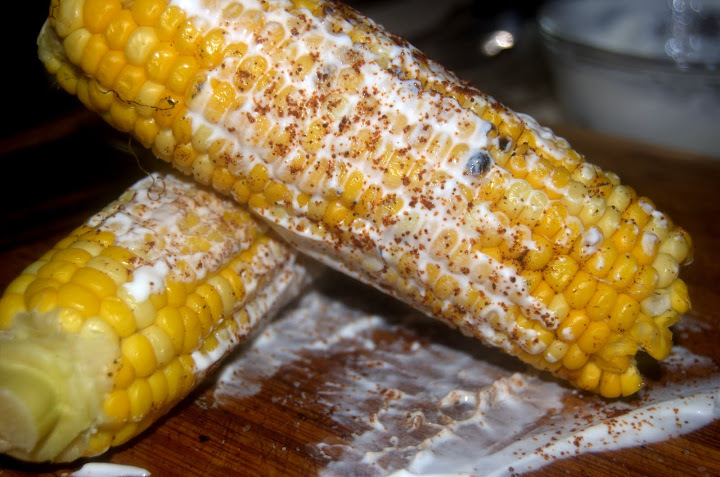 This entry was posted in General Musings and tagged healthy, sides, vegetables, vegetarian on May 27, 2010 by Lauren. You know, I could wax on at length about this dinner and how it was all inspired by this recipe find of spinach artichoke hummus from Gimme Some Oven. I could tell you how I needed an end-of-the-week pick-me-up, healthy yet tasty, and how the mention of pork chops at work (which happens a lot more than you’d think) made me think I could combine my love of pork with my love of spinach, artichokes and hummus and sure it would be weird but it would also be awesome. I could tell you how easy this meal was to pull together, even though I had absolutely no idea what to do with the potatoes even as they were cooking; I just knew that I wanted them. 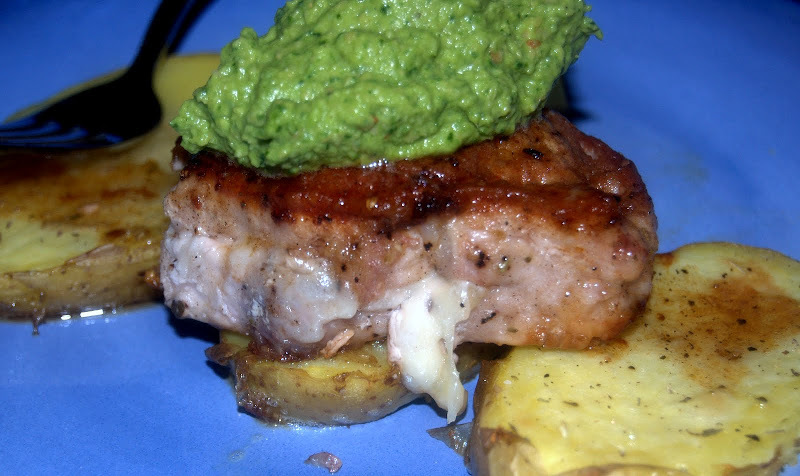 I could tell you how fantastic thick center-cut pork chops are and how they’re even better stuffed with wedges of Cordobes sheep’s milk cheese, or how good potatoes are with meat drippings poured over them, or how surprisingly well spinach-artichoke-hummus can be smothered over said porkchops, cheese and potatoes. 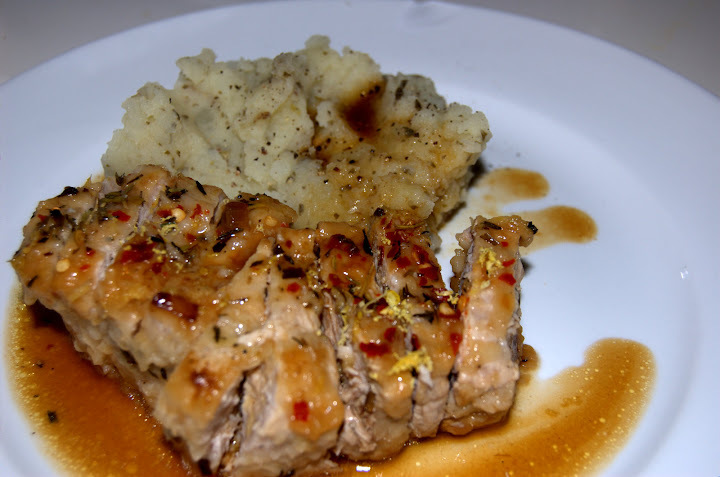 This entry was posted in Recipes and tagged dip, healthy, pork on April 23, 2010 by Lauren. I picked out glasses yesterday afternoon. Prescription sunglasses, to be precise. I can’t really tell you what they look like though. I’m not even really sure. That’s the problem with having to try on glasses when you don’t wear contacts and are otherwise mostly blind. But hey, in about 3-4 weeks when they come in, maybe I’ll be pleasantly surprised! Or horrified. We’ll see. Ha. We’ll see. Get it? Yeah. 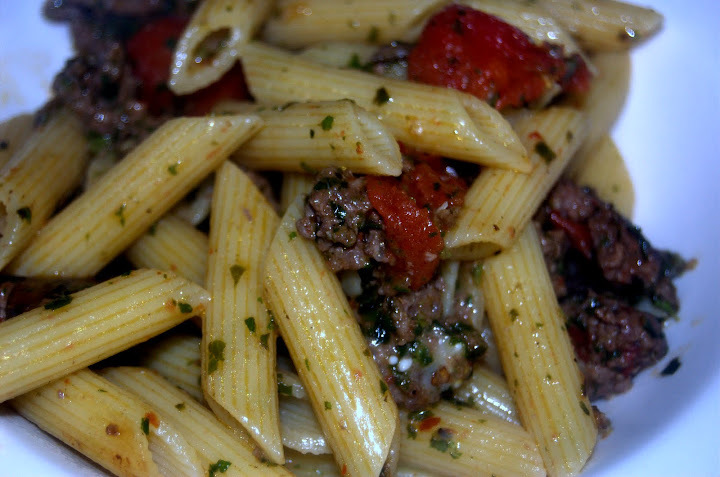 This entry was posted in General Musings and tagged beef, healthy, Italian, pasta on April 20, 2010 by Lauren. It hasn’t even been a full week in our new house yet and already we’ve spent more than a little bit updating things–the cable, the washer and most notably, the oven. I have a new oven. Do you know what that’s like? It’s like Papa having a brand new bag, that’s what it’s like. It’s beautiful—all shiny and black and stainless steal. The oven at our old apartment was a trustworthy thing; while I am not a fan of electric stovetops, the oven got hot quickly and stayed that way. When we moved into the house on Saturday, we knew the stove (gas) worked but that the oven didn’t. So despite my fear-of-change-driven emotional need for brownies, I had to sit and wait until a new stove was ordered and delivered. But I could still use the stove, and I did. It was a bit odd changing over to a gas range from an electric one—things heat up so fast! Lovely. “It’s not going to work,” said Josh. 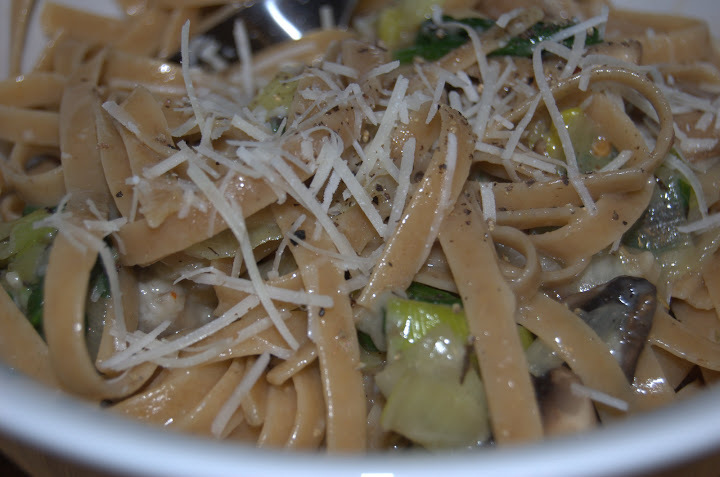 This entry was posted in General Musings and tagged chicken, healthy, pasta on January 21, 2010 by Lauren. I found a recipe in Cooking Light for Strawberry Jam Crumb Cake. It just sounds scrumptious, doesn’t it? It looks pretty good too. I have the week off and you know I can’t go more than a few hours without getting bored and baking something. My immediate thought was to make cookies, and then brownies, and then I thought that maybe I should try and wean myself just a little bit off my dependence on the black gold that is chocolate and try something new. And I’ve never made a crumb cake before (as least, I don’t think so, and if I ever did, I guess it was so terrible that I blocked it out) so I figured, why not? This entry was posted in General Musings and tagged baked goods, breakfast, cake, dessert, fruit, healthy on December 28, 2009 by Lauren. Oh, and I guess it can be healthy too. Can be. Anyway, I was inspired by this chicken wing recipe and decided to play around with a sweet-and-spicy chicken recipe myself. The store I stopped at this morning didn’t seem to have sriracha sauce specifically, so I went with the chili paste, which I’m sure I’ll be using pretty often because it smells great. And let’s face it–we can all use a light meal now and again. Especially in these heady days between Christmas, Christmas, more Christmas and New Year’s. So this dish, bundled up with some fresh guacamole and a delicate side of lemony green beans (blanch green beans in boiling salted water, then drop into ice water, then pan-fry in a sauce of a tablespoon of butter, a half tablespoon of olive oil, lemon zest, salt, pepper and herbs) was a welcome breath of delicious, moist, tender air. I know what you’re thinking: moist is a creepy word. Yeah, it is. 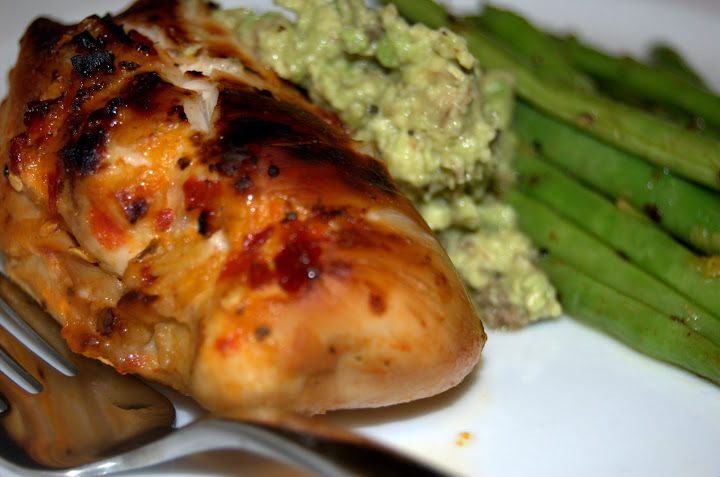 This entry was posted in General Musings and tagged chicken, healthy, spicy on December 28, 2009 by Lauren. It was an odd weekend, really, this past weekend. There was very little cooking and no baking. Indeed, a pall of sadness hung over our apartment. Poor Josh had to have all four wisdom teeth removed at once and…well, let’s just say, he’s seen better weekends. And while I was reasonably healthy myself and not even a fraction as miserable as Josh, I tried not to cook too much because I felt sort of like a meanie making delicious food when he was subsisting on soft oatmeal and light Gatorade. 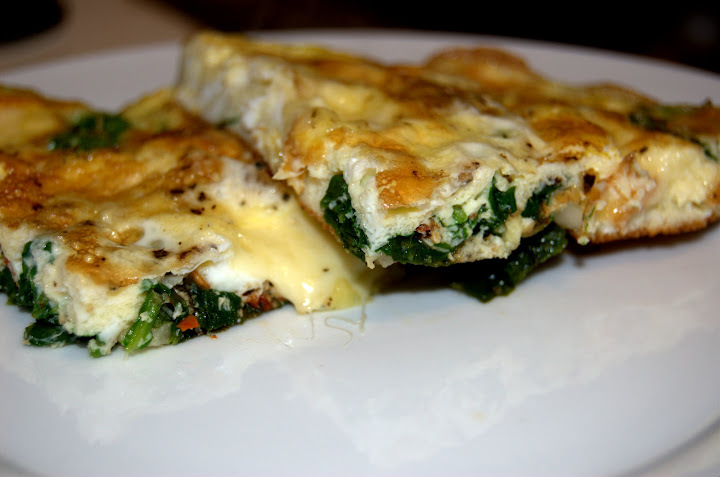 This entry was posted in General Musings and tagged breakfast, eggs, healthy, vegetables on December 7, 2009 by Lauren. Pomegranate-braised ancho-chocolate beef: it's what's for dinner. And maybe dessert. No, just dinner. Maybe dessert. I got a notice that POM Wonderful was having a recipe contest and I thought, “Self, we’ve never entered a recipe contest before. We should give it a shot.” Self said, “We’ll never win.” And I replied, “Way to be defeatist, Self. The point is that it’s an excuse to be creative.” Self: “Since when do we need an excuse?” Me: “Since you started screwing with my chi.” Self: “Oh okay.” So we shook on it. Mentally. This entry was posted in General Musings and tagged beef, fruit, healthy, slowcook on November 29, 2009 by Lauren. Veggie Carbonara: it's mostly healthy. And tasty. I swear. This entry was posted in General Musings and tagged healthy, Italian, Mexican, vegetables, vegetarian on November 16, 2009 by Lauren. Chocolate is truly the food of the gods. You can eat it plain or with nuts, in cookies and cakes, drizzled over scones, and melted with whipped cream on top. You can also rub it on your skin, for various reasons (hey, whatever you do as a consenting adult in your own time is none of my business), and one of those reasons might be skin exfoliating. It’s no secret that I happen to love the benefits that good food gives you from the inside and the outside. 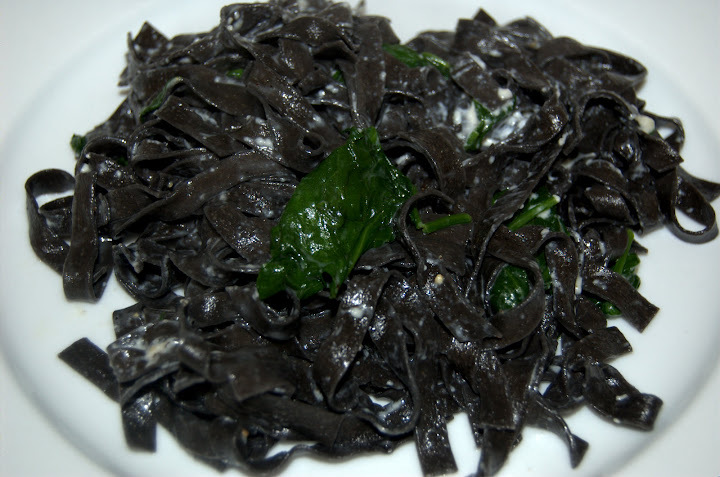 I mean, this blog even has a whole page of foodie skin care tips utilizing home made concoctions of various foodstuffs. 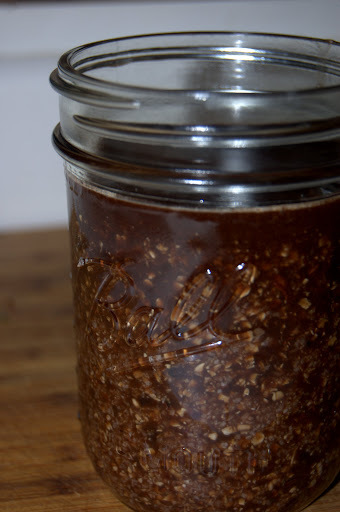 Well here is one more: a chocolate body scrub. 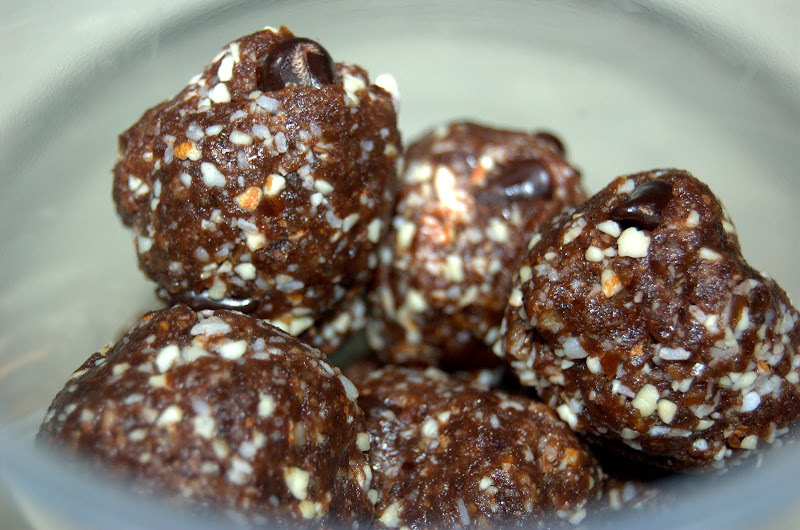 This entry was posted in Foodie Skin Care and tagged chocolate, healthy on November 12, 2009 by Lauren. I came across this blog post for the Angry Chef’s Garlicky Lemon Pepper Chicken and… all right, I’ll admit it: I drooled a little bit. But whatever. Who wouldn’t? Click on the link and I dare you not to. 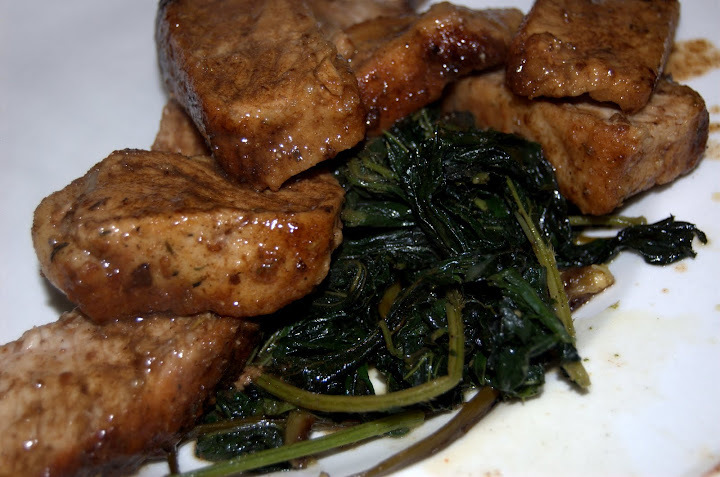 This entry was posted in General Musings and tagged healthy, pork on November 8, 2009 by Lauren. Since I was on my own tonight while Josh was out at a super exciting computer society meeting, I figured I’d make myself a very easy one pot Asian-inspired dish that Josh actually loves but never wants: peanut chicken stirfry. Consider this less of a recipe, more of a guideline. Actually, consider everything I write a guideline. In fact, consider everything I don’t write a guideline too. Just in case. 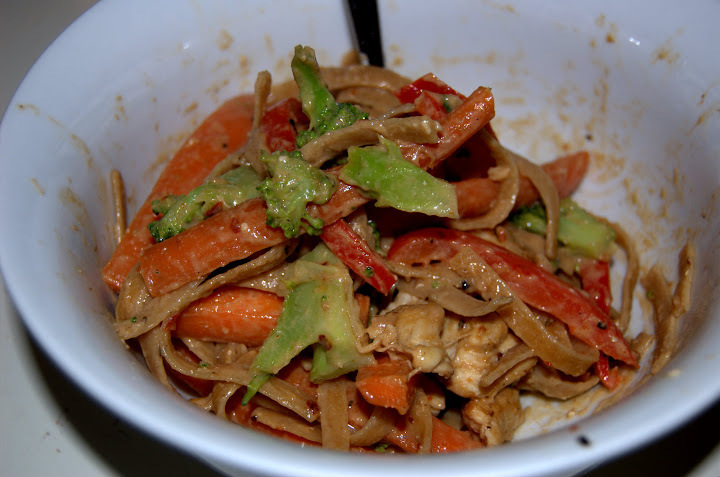 This entry was posted in General Musings and tagged asian, chicken, healthy, vegetables on November 4, 2009 by Lauren. Farmer Lauren had a chicken, e-i-e-i-oooo, and with this chicken she made a sammich, e-i-e-i-ooo, with an apple slice here and an avocado there, here a spice and there a slice, eveywhere it’s nice nice, Farmer Lauren had a chicken avocado paniniiiiiiiii. 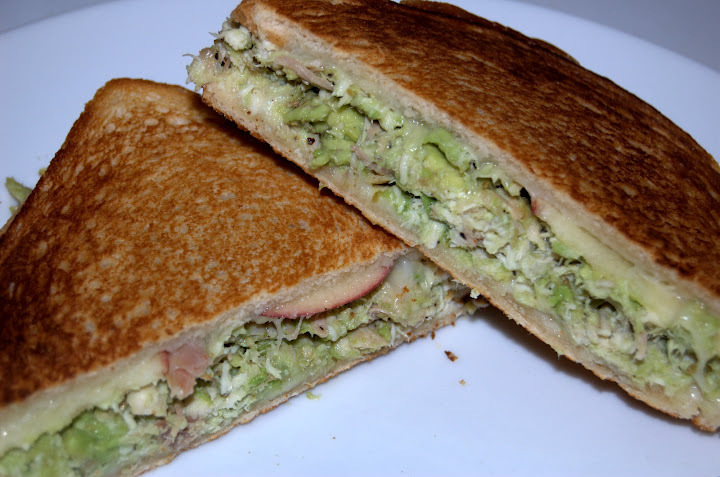 This entry was posted in General Musings and tagged chicken, healthy, sandwich on October 17, 2009 by Lauren.